scroll down for Tincture Preparation (a new added advantage!) & Umbilical Cord Keepsake! Many new mothers suffer from mood instability starting in the first week after giving birth. Dubbed the “baby blues”, which is considered a normal part of birth recovery. Since the hormonal fluctuations are considerd the root of the issue and eventually regulate themselves, no treatment is given. Women are left to cope on their own, losing the first precious weeks with their newborn baby to an emotional roller coaster of different feelings and exhaustion. If the baby blues worsen into a diagnosis of postpartum depression, anti-depressants may be prescribed. Anti-depressants, like almost all drugs, are passed to the baby through breastmilk, and mothers who do not want to expose their babies to these medications are often faced with the decision to either stop breast feeding or struggle with depression. Women suffer through the baby blues almost as a rite of passage to motherhood. But, it does nothave to be this way. In many cultures the placenta is considered the tree of life, and for good reason, because without it life would not be possible. 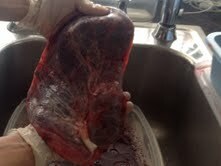 Most all mammals consume their placenta after birthing. This is proven to help stabilize iron and hormonal balance, as well as assist with lactation. In your birth plan and at the time of birth, delaying the cord clamping (although maybe not possible in “emergency” situations) is important. By delaying cord clamping and cutting for the first 4 minutes or longer, the placenta is providing baby his or her natural blood volume and precious stem cells. A note from PBi: Our Code of Ethics and Standards of Practice are what set us apart. PBi is the only organization that has our Standard Operating Procedures on file with both the FDA in the US, and the FSA in the UK. Our strict policies and procedures are in place to keep both our Specialists and our clients safe. When you choose a PBi Placenta Encapsulation Specialist, you know you are getting the highest level of service and safety, no matter what country you are in (PBi operates in the US, Canada, Australia, and the UK, and is compliant with all safety regulations in each of them). The placenta is amazing! Its sacred responsibilities include providing nourishment to and eliminating waste from the baby. It allows the baby to breath through his mama, secretes hormones that regulate and maintain pregnancy, and blocks may harmful substances from the baby, as well. Nourishing and Incredible! And like in pregnancy, the placenta has amazing abilities during the postpartum period. The placenta can heal, sustain, and strengthen. For thousands of years, Traditional Chinese Medicine has recognized the placenta as powerful medicine used with postpartum women to help increase lactation as well as help balance Qi (life energy) after birth. Today, many women look to placental encapsulation as a natural way to balance their hormones after birth and help avoid postpartum depression. Using Traditional Chinese Medicine methods your placenta is gently steamed, dehydrated into powder and encapsulated for you. Each placenta being different in size and substance, the capsules usually make between 90-150. After two weeks you can begin to decrease your dosage to one or two pills per day, as needed. As a Placenta Encapsulation Specialist I have been trained with preparation of the placenta using methods that adhere to Traditional Chinese Medicine. The placenta is dried, ground and encapsulated, and when properly stored, the capsules can be used long-term. Placenta Encapsulation takes the “yuck” out of consuming the placenta. Your actual placenta can be frozen for 6 months. But also once you have recovered from childbirth, you can even freeze the capsules (for years) and save them for menopause! Wow, I wish that I knew this 20 yrs. ago when I had my daughter!! It is required to follow strict OSHA & EPA guidelines during the preparation of your placenta. All of the necessary equipment and encapsulation materials are brought to your home by me to complete the process. Aside from the medicinal aspects, treating the placenta as sacred, and honoring the work it has done to nourish your baby throughout pregnancy, while preparing it to continue nourishing you now even after giving birth. During pregnancy your placenta takes over many endocrine functions. After the placenta is birthed it takes your body several weeks to months to return to its pre-pregnancy state. By Postpartum day 5 your body is at it’s lowest state hormonally and nutritionally. Ideally, the placenta is encapsulated within 48-72 hours after the birth. While you bond with your new baby, establish breast feeding (if this is your choice) I will be in charge of taking care of your placenta. Once retained, after birth I will be on call for you and make every effort to come to your home within the 48 hours to begin the process to encapsulate your placenta.During the first visit, spending approximately two hours preparing the placenta for the drying phase, then leaving the placenta to finish drying overnight. The next day, I will return to complete the encapsulation step, which takes about one hour. You can begin taking the capsules right away for maximum postpartum benefits. Please feel free to contact me for tips on getting your placenta home from the hospital as soon as possible. There are some some hospitals that do not like to release your placenta without properdocuments from your ob/gyn and other information that can help you to have it released. After all it is part of your body and belongs to you. Even if you and baby are recovering in the hospital, I will be able to encapsulate your placenta at your home with your partner or any other relatives present and get the capsules to you right away. Communication is key for timing is important. 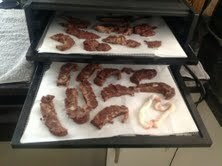 Placentas that have been properly frozen (double-bagged and protected from freezer-burn) and can be encapsulated up to 6 months after the birth. Remember that left over capsules can be frozen for years to help assist in menapause! PLEASE NOTE: The statements on this page have not been evaluated by the Food and Drug Administration. This service offer is not clinical, pharmaceutical, or intended to diagnose, treat, or cure any condition or disease. Families who choose to utilize the services on this page take full responsibility for use of the remedies at their own risk and by their own choice. Thanks Debra for introducing me to the possibility of doing something I never thought female humans did. I knew other mammals consume their placenta and I always wondered why. “Well, they’re animals, what can you expect,” I would think, “but still there must be for a reason because it’s natural.” When I learned about the existence of placenta encapsulation, it totally made sense. 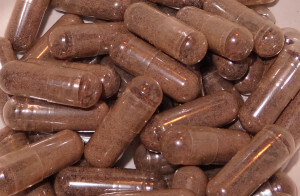 You can eat your placenta in capsule/vitamin form without the yucky part of it. I’m very glad I took my placenta capsules! I know that I felt great from the start. Even though I was sleep deprived – like any other parent of a newborn – and in postpartum recovery, I felt constantly happy, at peace and energized. Physically I felt good and strong too, and I’m sure the caps also helped my milk supply because I had so much milk it was great. It wasn’t easy to have the hospital release the placenta to us though, which for me is sort of ironic because the placenta is mine, it should be them asking for my permission to take part of it & keep it!! Anyway… My husband made sure we kept it. He went to the lab where he had to sign some papers to have it released. They took some samples from it, way too much I would say! Anyway, that’s something that still needs to be worked on with Mt. Sinai. I also thought the encapsulation process was going to take longer, but it was great to find out that you were able to come and do the placenta within 48 hours. It was done and I was surprised to know that the capsules would be ready for me to start taking just in time for my transition home from the hospital! 🙂 Thank you! The full encapsulation process takes approximately two-three days and includes (depending on the size of your placenta) approximately 50 – 200 placenta capsules. 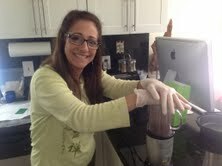 Placenta encapsulation base service is $225.00. However, in an effort to make this service readily available to any woman who desires the benefits of placenta medicine, I will offer a sliding fee scale. The scale is determined starting from $175 to $275.00. This is determined by the individual needs and logistics of each family. Reserve today with your $100 non-refundable deposit. This will be applied toward service. Please speak to Debra personally. If you are interested in having your placenta encapsulated or would like to know more please feel free to contact me anytime and you will receive a response within 24 hours. I look forward to speaking with you so that any special wishes can be discussed and you can get a chance to ask me any questions you might have. In addition to turning your placenta into pills, we now offer placenta tincture! 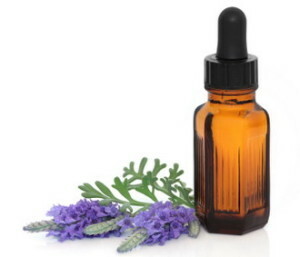 Placenta tincture is an added bonus in that it can be used in addition to and long after your placenta pills are gone. A small piece of the placenta is tinctured in a high grade alcohol, and it can be used in any time of trauma, transition, or emotional distress for both mother and child. The tincture is very shelf-stable if kept in a cool dark place such as a cupboard, and will last for many, many years. Assists both you and baby during times of difficult transition, i.e. growth spurts, separation from parents, sleep difficulties, and weaning. Gentler hormone support for you. She flourished with regular use of a few drops of the homeopathic tincture. Further preparation is required, but is easy to do. Placenta tincture is a constitutional remedy that can be used for the both mom and baby throughout her/his life. The placenta contains vitamins, minerals, hormones and stem cells so it is a very good immune remedy. A few uses include cough, stuffy nose, indigestion, teething, high stress events (1st day of school, daycare etc). It’s also beneficial for mom during transition and stressful times. Placenta tincture is created with a small piece of raw or steamed placenta. It can also be created with a small amount of dehydrated powder. Placenta capsules are most beneficial in the weeks following birth because they bring heat back and restore balance. Placenta tincture is most useful in the months and years to come. Dosage: 5-10 drops directly on the tongue or in liquid (water, juice, etc) taken during times of stress or transition. Although it takes six weeks for your tincture to be ready, it can be delivered to you with your capsules or within 72 hours if you just want the tincture, for you to keep until it matures.